Our driver & tour guide will pick you up at 7.30 am at your hotel to transfer to Cai Be. 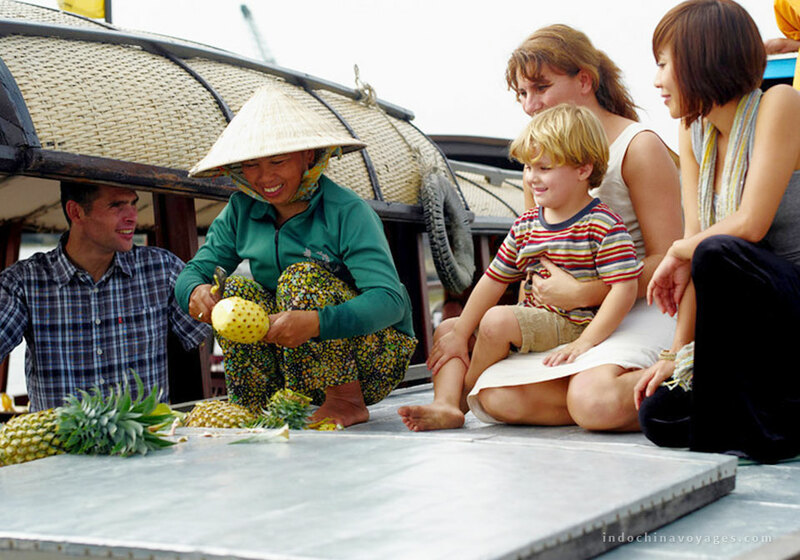 The program will start with the visit of Cai Be colorful floating market cruising among local barges full of fruits and vegetables. Then, stop by some local workshops where you can see how to make rice paper, coconut candy and pop-rice, pop-corn…The rowing boat will take you deeper into the countryside on smaller canals and to enjoy the peaceful time. It is so interesting to see traditional houses made of wood and palm tree leaves and see some activities of the local farmers with an opportunity to make contacts with them and see how they catch fish. Lunch will be served at Ut Trinh home. After lunch, we walk around the orchards and then we will enjoy some fruits tasting while listening to the traditional music. One more thing to do in this trip is biking! It will be so amazing to bike on village paths to see the local farms, houses, real life and the ancestral ways to pick up fruits in Mekong Delta. Afterward, star the 1-hour drive to Can Tho. Overnight is in Can Tho. After breakfast, check out of the hotel and board the small local boat for a cruise to visit colorful Cai Rang Floating Market, the largest floating market in South East Asia, there will be hundreds of boats laden with fruits, vegetable, and fish, jostling for trade. 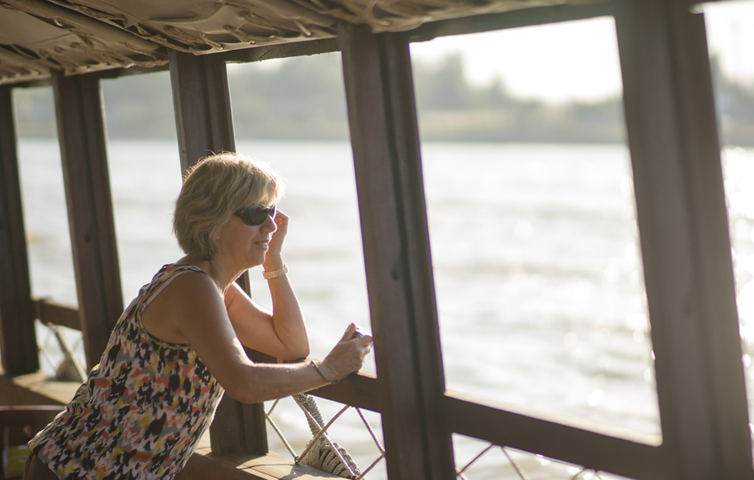 Leave Cantho and drive back to Saigon with a lunch stop on the road. Back to Saigon in the afternoon. End of service.